Super B is a synergistic formula that contains many beneficial ingredients such as humic acid, amino acids, seaweed extract, mineralized carbohydrate complexes, fulvic acid, and B vitamins. Super B will improve vitality, increase root mass, improve flavor and aroma of fruits and vegetables as well as enhance the bio-availability of nutrients. 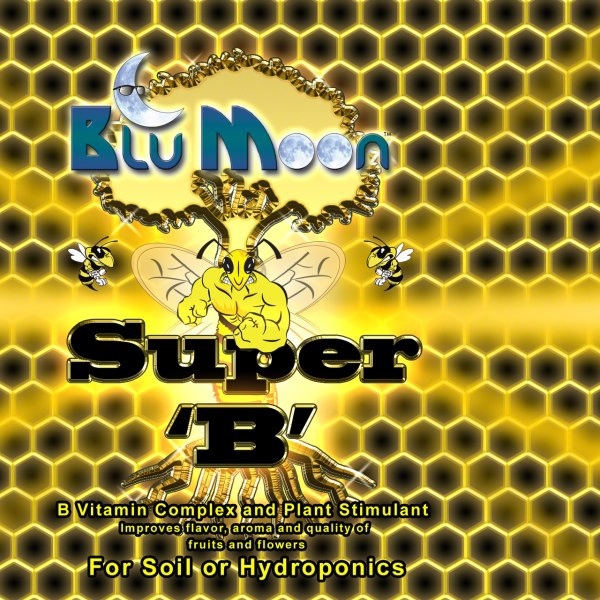 Super B provides the building blocks for plant growth hormones and helps strengthen plants during times of stress. Super B is formulated from the finest raw ingredients that are processed with a proprietary fermentation extraction and then blended to bring one of the finest products on the market today.